Fabry Disease (FD) is an X-linked lysosomal storage disease that emerges as a result of the mutations in the galactosidase A gene encoding alpha-galactosidase. The peripheral nervous system (PNS) involvement manifests itself as acroparesthetic complaints due to the small-fiber involvement. Our goal was to assess the PNS involvement of 14 patients with FD both clinically and electrophysiologically besides the other systemic features. 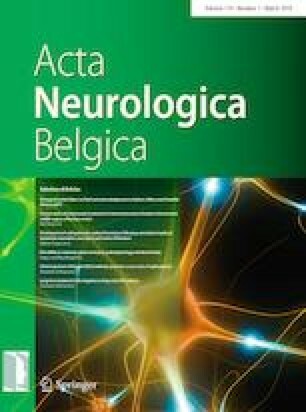 14 patients (11 female and 3 male) of the same family whose enzyme level and genetic mutation analysis confirmed the FD diagnosis were evaluated retrospectively in terms of systemic and neurological findings of the FD. Neurological examination and nerve conduction studies were performed to evaluate the PNS involvement. PNS involvement was more common in females. Eight of the patients had acroparesthesia. The neurological examinations of all patients were normal. Two patients presented sensory axonal polyneuropathy, one of whom had no acroparesthesia. Other patients with acroparesthesia had normal nerve conduction studies. There was no significant relationship between the presence of acroparesthesia and the results of conduction studies (p > 0.05). Acroparesthetic complaints in patients with normal results were attributed to small-fiber involvement. Since small-diameter nerve fibers cannot be evaluated by routine conduction studies, especially in the early stages of FD, these studies may be normal. Early diagnosis through the symptoms such as acroparesthesia may contribute to the survival of the patient by preventing and/or delaying the development of renal, cardiac, and cerebrovascular diseases, which are the main causes of morbidity and mortality.